Next group Begins April 16, 2019! Our Healthy Hormones Group Program is $1,199.00 (see price breakdown of costs below )! Join now, to gain early access lab kits. Be the first priority to get your customized protocol, and get started with your healthy hormones transformation! Sign me up for the Healthy Hormones Group Program! Set up your free 20 minute consultation to discover if we are a good fit for each other! One 20 minute consultation can change the trajectory of your life. Hormone Help for Busy Women. Live In Sync. Feel your best! Do you feel like something is off with your health, but all of your regular blood work shows you are “in range”? Have you been filling your head with excuses that the vague symptoms you are experiencing are “normal” or you are “just getting older”? 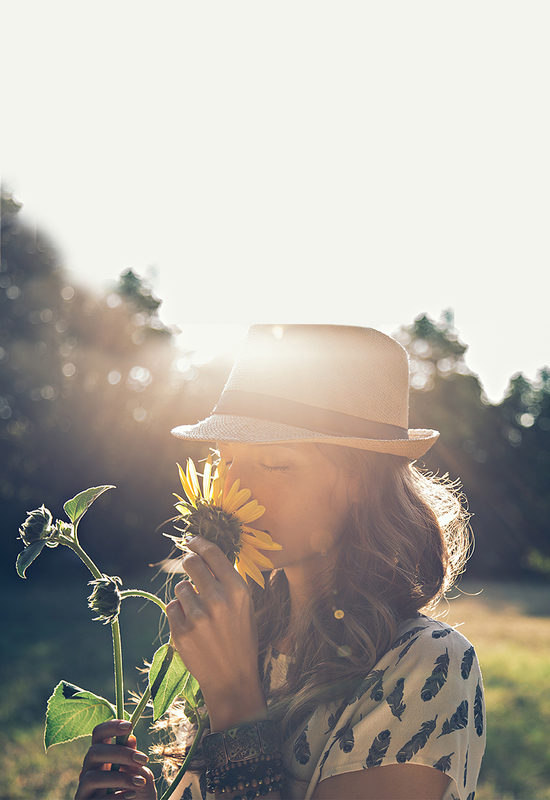 Does your gut tell you that you could have an abundance energy, less inflammation and more balanced moods? Have you already changed your dietary habits (hello, whole foods!) but feel stuck with where to go next? Weight loss resistance (it just won’t budge!)? Adult acne that won’t improve? Cramps that knock you out for days? “The Healthy Hormone Group gave my health and lifestyle a 360 makeover to the happiest, most energetic and in control I have ever felt since my teenage years. 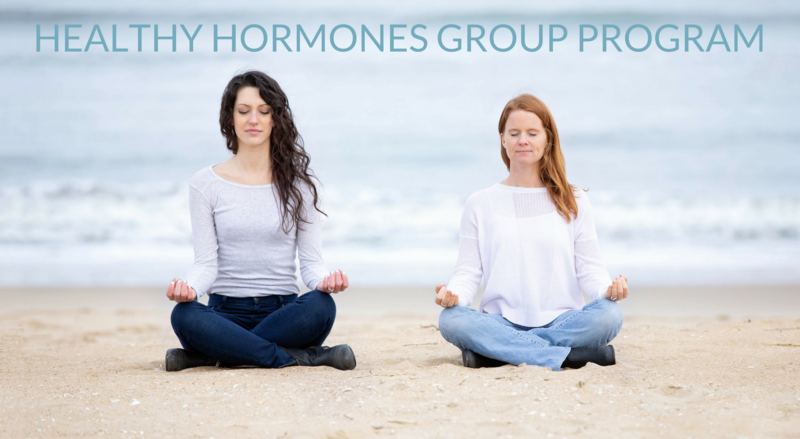 As someone who has struggled for many years with stress, hormone issues, and nutrition, the group format provided me comfort, education and the confidence to make the big changes I needed. After joining the Healthy Hormones Group, I saw small changes in my skin, digestion, and energy but wanted to take a deeper look into my health. Megan & Alex provided tangible evidence through functional diagnostic testing to examine the internal and external symptoms I was experiencing. Now 8 weeks into the program, I have made a drastic and consistent recovery from chronic adrenal fatigue, and gluten sensitivity. “I have learned a ton and made progress in several areas as a member of the Healthy Hormones group program. I finally have some energy back and am so grateful! I first participated in the seasonal detox which I believe set me up for success for the Healthy Hormones group program. I had been on a health journey for a long time, researching, upgrading and seeing practitioners but the functional lab work was the missing piece for me. I had never found anyone to do that kind of detailed testing and to explain what my results meant. Because of my progress with my hormone and neurotransmitter protocol, I am finally seeing my thyroid numbers come into a normal range! We used to do the 1-on-1 approach until we realized there’s a better way. Here’s our breakdown of why we prefer running labs in a group format learning style! $1199 (or $999 if you’re a lucky Early Bird!) covers the cost of 12 weeks of content, monthly Q&A calls with Megan and Dr. Alex, and the creation of your personalized protocol…plus lifetime access to the program. The lab fees go to the labs themselves so the DUTCH and neurotransmitter panels are an extra cost, which is going to be the case no matter who you work with. However, we extend our practitioner discount to you so the DUTCH test is $250 through this program, compared to $399 if you order it yourself. The neurotransmitter panel is a flat fee of $239. Although you still get the personalized protocol based on your results, we felt it was better to do this work in a group format because ACCOUNTABILITY and SUPPORT are the most important factors that determine whether someone is successful or not! We’ve experience what feeling isolated does to our health and we have decided that we think this is SO IMPORTANT to your health that it changed the way we do our work. Most 1-on-1 coaching programs will cost between $2400-$3600. This means you can save thousands of dollars and still get a customized protocol by doing the group program. Most practitioners charge the full amount for the lab fees so the DUTCH will cost around $399 and the neurotransmitter test isn’t available to you without an active provider. We’ve Had all of these Symptoms! We understand how excruciating it can feel to deal with these problems alone. Don’t fret on being alone anymore! In the program, we run functional lab work, and then develop a customized protocol suited for your specific physiology. Restore your balance and experience the benefits of vibrant health! Graduates of the Healthy Hormones Group Program have seen drastic improvements in their energy levels, normalized their weight, regained fantastic looking skin, and with their newfound health, are now fulfilling their purpose and sharing their passions in the world! We want you to do the same! Register the Healthy hormones group program! Set up your free 20 minute consultation to find out if we are a good fit for each other! One 20 minute conversation will change the tracjectory of your life. We put together the exact program that WE wished we had when we were struggling to balance our own hormones. In this transformational program, you will find the energy, optimism, and drive you rightfully deserve. We can’t wait to show you a brand new life, using the same techniques we used in our own health journeys. During this program you will have access to the expertise, opinions and guidance of TWO different coaches. 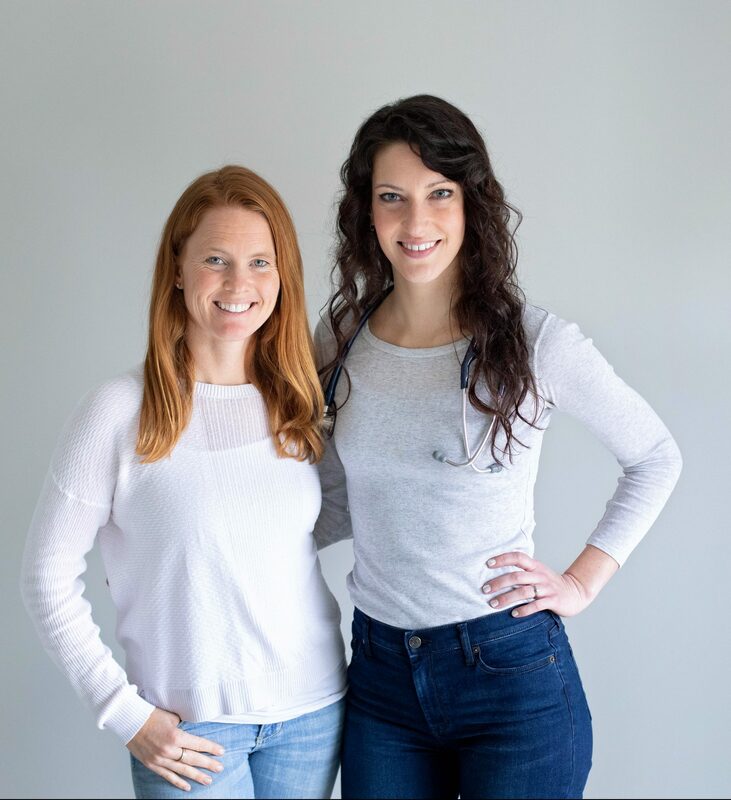 We (Dr. Alex and Megan) align perfectly in our overall holistic strategy to rebuilding life-long health, but we also complement each other well by having different areas of expertise and interest. Our past group members really appreciated getting two different perspectives from both an MD (Alex) and an FDN Practitioner (Megan). By comparing how you feel day-to-day to the results of your lab work, we will design a customized protocol that tracks your unique deficiencies, difficulties and worst symptoms. When you combine that with the comprehensive lifestyle and dietary recommendations we initiate during this program, the results are phenomenal! To begin the program, we will run the DUTCH lab test for hormone and adrenal function and a Neurogistics Neurotransmitter panel for brain function. The kits are mailed to you, and can be completed in the comfort of your home. We have two detailed videos that will be provided to you during the program about how to read your own labs, and what all the markers mean, so that you can test your levels on your own to track progress in the future. Often, running functional lab tests is the first time our clients see something on paper that finally lines up with how they feel. This powerful process allows you to take charge of your health. Week 1 – Accountability and commitment: Let’s kick off the program on the right foot! During week 1, we’ll dig into the deeper reasons why you are doing this program and create a supportive environment for you. Every other week, we will release a new video which will include a lifestyle and food goal that you can start implementing, along with tips for how to do so. Week 2 – Caffeine half-lives and bedtime rituals: In week 2, we’ll dive into all things caffeine related! We’ll talk about your caffeine routine, how caffeine half-lives are impacting your adrenal health as well as your sleep patterns and we’ll give you several effective tips we’ve learned along the way that you can implement into your own bedtime routine for better sleep. Week 3 – Understanding your adrenals: During week 3, we’ll explain how adrenal health is related to the rest of your body. We will cover adrenal physiology, HPA/HPO axis and related hormones such as insulin and the different stages of adrenal dysfunction Week 4 – Bone broth benefits for adrenal health and recipes: Bone broth is one of our favorite superfoods, so in week 4 we’ll dive into how it can benefit you and our favorite ways to make and drink it. Week 11 – Digging deeper: During week 11, we’ll cover thyroid health, liver health, digestion, brain health, energy robbers and self- tests for other potential infections (such as H. pylori or parasites). We want you to become health investigators, too! Week 12 – Next steps: To wrap up the program, we’ll discuss our recommended steps for how you can continue from here, including some of our favorite tips and resources. BONUS: You will also have access to all Q&A recordings from previous Healthy Hormones programs. Chances are someone else has asked a question that has been nagging you for awhile now, so we want to make that all available to you! You will receive a customized protocol after signing the program agreement*, completing the lab tests and filling out two detailed spreadsheet about your current health state, including the signs and symptoms you’re experiencing as well as any supplements or medications you’re currently taking. Past members of the Healthy Hormone program express how, just by getting their protocol, they experienced a boost of energy and motivation to be able to tackle the harder lifestyle changes that we suggest throughout the program. *All monthly payments must be received prior. The Facebook group is a peer-led program for you to connect with the other members of the group! As with all our group programs, the peer support, momentum, and ideas and that come out of a group are priceless. Since you get a lifetime access to this program, you’ll transform from being one of the newbies to one of the seasoned health veteran in no time! Note: If you don’t have Facebook, don’t worry! See the Q&A Sessions tab to the right where you can also gain support, momentum and new ideas. Interested in further customizing your plan? Not sure which suggestions in our guides are best for you to start with? Confused about your protocol? Wanting more information on a topic that we didn’t cover in the videos? We will be hosting monthly Q&A sessions during the program to answer your questions. We will collect your questions in advance in the Facebook group and/or via email and discuss them live during the Q&A calls. We’ll then send you the recordings of the calls afterwards so that you can reference them at anytime if you can’t attend the live calls. All other questions that you have during the program can be addressed in the peer support Facebook group or via email! 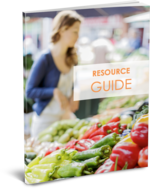 BONUS 1: Resource Guide We know that it can be a pain to try and track down what the best products are for your health. You want the best water filter for your health and the health of your family but you are also busy and don’t want to read lots of blogs and have to decide on your own which one is the best. We’ve got you covered! We compiled all of our favorite resources into one easy handout that you will receive as part of the program. BONUS 2: Fatigue Fix Guide Do you need help with falling asleep? Staying asleep? Are you sleepy mid-afternoon? 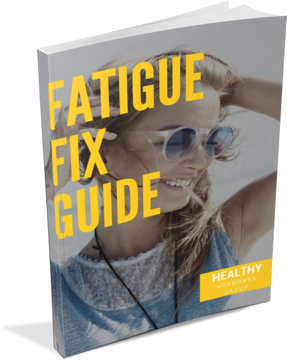 Although the program will cover what’s in this guide step-by-step, our quick guide to fatigue can be a helpful resource for you if you’re looking to dive into specific areas that you’re struggling with. It can also serve as a guide for you long after the program. 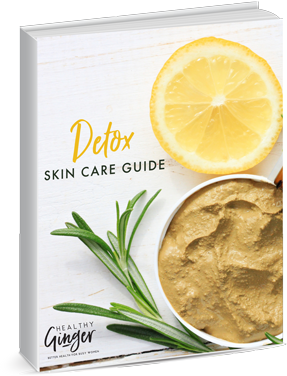 BONUS 3: Detox Skin Care Guide Our 26-page guide reveals the key steps to having fabulous skin from the inside out. We believe that your skin is an outward manifestation of what is going on inside of your body. We know it can be a pain to determine what products are optimal for your health. We get it, you want the best water filter for your health, and the health of your family and loved ones, but you are busy, and don’t want to read lots of blogs about which one is the best. We have compiled all of our favorite resources at this time onto one easy handout. Do you need help falling asleep at night? Staying asleep? Are you sleepy mid-afternoon? Although we’ll be going through what is covered in this guide step-by-step in the program, use this quick guide to fatigue as a resource on different areas that you struggle with to maintain healthy sleeping patterns. Our 26 Page Guide reveals the steps to having fabulous skin from the inside out. We believe that your skin is an outward manifestation of what is happening inside of your body. 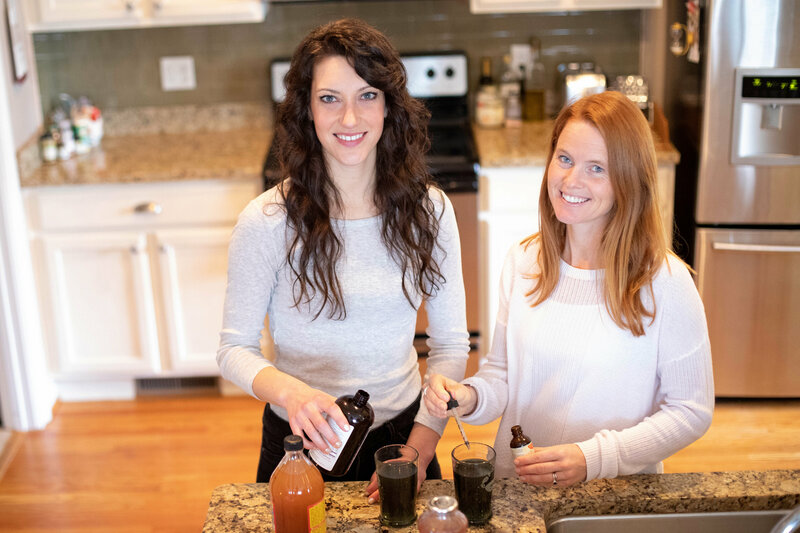 Topics Include: Gut Health & Elimination Diets, Detox-Gut Skin Connection, External Detox tools, Internal Detox tools and what happens when you detox too fast. We can’t wait to hear about your positive experiences! Are you ready to Live a healthy, happy, and truly Enriching Life? You have the courage and endurance. We have the tools for you to succeed. Together, we're going to complete some incredible work! REGISTER FOR THE HEALTHY HORMONES GROUP PROGRAM! Confused about what health advice to trust? One expert says to eat kale daily, but another says not consume kale! It’s confusing, and we understand! We’ve been there. There is no “right way”. That’s because what works for me may not work for you. Instead, we will carefully create a process for you to utilize the tools that do and do not work for you. Together, we’ll develop a customized plan for optimal health! We first met and bonded over our shared love of holistic, integrative and comprehensive medicine. Our belief is that, in order to fully heal your body, you have to commit to a lifestyle approach to health. Both of us struggled for a really, really (really!) long time with our own personal hormonal and adrenal problems, so we understand how the pain feels. We know how tough it is to take steps towards better health if you’re not sure where to start or how to progress! It’s for this reason that we’re devoted to making it easier, faster and less stressful for others. We can’t wait to share our knowledge with you…and see all the amazing results to follow! Are you a pregnant or nursing mama? Would you like to join our program without the lab work or customized protocol? We know how important community support can be during this demanding season in your life. For a discounted price of $499 you can join our program, be in the community, implement weekly upgrades, and get all the benefits of the program!! The only difference is that you will not run lab work or get a customized protocol. Testing your hormones is a waste of money in our opinion when you are pregnant or with a baby under 6 months old, because those hormones are going to keep changing! We also don’t suggest adding a bunch of new supplements at this stage in your life. This offer allows you to follow the rest of the program where optimal nutrition, stress management, reasonable exercise and optimizing sleep (as much as possible!) can make a HUGE impact on you and your baby. Do I have to run lab work? You are not required to run lab work in order to join the program, but we do feel like it is one of the reasons that our program is unique and our members saw drastic improvements. In our opinion this is the biggest key to success, so we would hate for you to miss out on that aspect of the program! Often when our clients see their functional lab work, it is the first time their results really represent the way they feel. It is empowering to have the numbers and know where you stand and then have the tools that you need to change them. Are lab fees and supplement costs included? No. Lab fees and supplement are not included in the program cost. Currently the DUTCH hormone panel is $250 (we extend our practitioner discount to our ladies!) and the neurotransmitter panel is $239. Supplement costs vary depending on your lab results. Some insurance companies will help with the cost of the testing but it is up to each group member to explore that with their insurance. I’m struggling with fatigue, weight loss resistance, acne, mood imbalances and other signs of hormonal imbalance. Is this program good for me? Yes, yes, yes! Hormonal issues are our jam. And we have a very specific way of addressing this super important topic. We start addressing hormonal imbalances by first optimizing liver and detox function through this Love Your Liver Seasonal Detoxes, following up with hormonal and neurotransmitter balancing protocol through our Healthy Hormones Group Program, and then addressing gut health next with our HealthyU Membership Community. We’ve seen MAJOR success with this approach, even for ourselves! My husband thinks we can't afford this...what can I do? We have lots to say on this! Because we’ve both dealt with this problem. It helps to think about this problem in 2 ways: from a practical standpoint and from a contextual one. In a practical way, discussing with your significant other places where you can cut back (less eating out, fewer Starbucks runs, canceling unneeded subscriptions) and how to make more income (babysitting, trading services in your community) can all go a long way in helping offset costs. I keep falling off the wagon with my food and lifestyle choices...how will this be different? We hear this problem a lot! When you’re struggling on your own, it can be shockingly simple to go from diet to diet, idea to idea without sticking to something in the long term. Not only is that frustrating, but it can make you feel really bad about yourself! By joining a group program, it takes a lot of the guesswork out of the equation (especially because you’ll be getting lab work that shows you exactly what’s going on) but it also comes down to the importance of accountability. By participating in a Facebook group where you are always being held accountable and engaged in your actions, it increases your chances of sticking to your goals…and reaping the benefits as a result! Is Facebook required to join? Facebook is not required to join. BUT we do feel that the Facebook group is an amazing resource and that having a group to lean on, relate to and share with can be really instrumental in the hormone balancing process. One of the most common comments we hear about the group is “I was just so relieved to know that I am not alone. Other people have the same complaints and are on the same journey”. We’ve even had a couple people create a new account or borrow a friend’s account in order to get all those benefits. We have a discounted option for pregnant or nursing mamas. Since we do not suggest the supplements be used while pregnant or nursing, this version of the program does not include testing or a customized protocol. You can join the group for support, work on lifestyle and food upgrades and learn more about healthy hormones! I am in perimenopause or menopause, is this program right for me? Our program is focused on women ages 25-45 who need help balancing hormones. Although this program could greatly benefit a woman in perimenopause or menopause, since the process of health building is similar for everyone, we feel that you would be best supported in a group of women in the same stage of life. Our good friend and fellow FDN practioner Maria Claps is offering a Healthy Hormone program just for YOU! Maria’s passion is helping women in their changing years to have great health and vitality and to rock their mission at all ages and hormonal stages. You can find out the details of her program here. Do I have to eat a certain way during this program? Is this program for females only? Yes. Girls rule. Boys drool. How long will it take me to recover from having adrenal fatigue? This is pretty much the number one question we get asked about adrenal fatigue and it’s a one of the least satisfying to answer. Truth be told, it’s virtually impossible to estimate the time it will take someone to recover their hormonal health because it is based on what concurrent disease states they have, the severity of their hormonal imbalances, and their dedication to changing their diet, lifestyle, and mental states. In general, we’re personally found that dealing with adrenal fatigue ALONE through trial and error can take upward of a year or two. Through testing and customized planning, we believe—and see routinely in our group—that process can be shortened considerably. Can I still join if I have digestion problems? Yes absolutely. But it’s a little tricky! Here’s the catch-22: it’s hard to fix your gut unless you’ve worked on your hormones & adrenals…but you can’t completely heal your adrenals until the gut issues have been resolved. Arg! That’s not helpful. Stay with us though! We choose to do to do things in a way that sets us up for success as much as possible. So we always deal with the hormonal aspects of things first. While things don’t fully improve until the gut has also been healed, trying to heal the gut while the adrenals are completely overloaded and dysfunctional lead to much worse outcomes and failed treatments, in our experience. Many of our graduates find that they already see drastic improvements in how they feel on a daily basis just after implementing a hormone balancing protocol…and all that hard work that they put into their hormones helps them address gut issues faster and in a more permanent way down the road. We have a special membership program that includes gut lab work and access to one-on-one sessions that is only available to graduates of the Healthy Hormones Group Program so that you can assured you’re taken care of when you finish! This is one of those “you get what you put in” kind of programs. All results will stem from YOU and your desire to change your life and your health. Since everyone comes to us in a very different place with their health and we are all amazingly different and complex beings, we unfortunately cannot guarantee any results. But you can expect is that you will feel empowered to take your health into your own hands. We will support you in figuring out the next step is on your journey. We’ll share the tools to fall back on when life gets crazy. You will know how to read your own lab hormone and neurotransmitter lab results so that you can check in periodically on your progress. You might not be where you want to be at the end of the 3 months but we hope that you will understand how to be your own health detective and will be on your way in the direction you want to be going. Refunds will be considered on a case-by-case basis within 30 days of purchase and before you receive your customized protocol. Refunds will be considered for Action Takers only, meaning that you watched the videos, participated in the Facebook group and attended the live calls and still did not feel that the program was a good fit. What if I live in NY, MD, RI or outside of the US? Neurogistics (neurotransmitter test) is not permitted to send test kits or receive samples to or from consumers in the states of New York, and Maryland due to regulations in these states. If you have an alternate address or location in a nearby state that you can receive, perform and return the kit than you can still preform this test. Precision Analytical’s Dutch Test Kits (hormone test) is not permitted to receive samples from consumers in the states of New York, Maryland, and Rhode Island. If you have an alternate location in a nearby state that you can perform and return the kit than you can still preform this test. Even though we would love to work with clients all over the world, we have had trouble in the past with lab work and supplements when working with clients outside of the U.S. You are welcome to join the program but must understand that the lab work and supplement part of the program might not be available to you. Please be aware that although the labs might offer kits to your country, you may still have a problem with the kit being retained at customs. In this case the lost cost of shipping or the lab fee is your responsibility. Purchasing supplements sometimes might also be difficult depending on your location and your country’s regulations on shipping. What if I'm on some form of birth control?